A studio version of the bootlegged ballad “True Love Waits” is finally here. But was it worth the wait? A shaky camera zooms in on Thom Yorke, who’s dressed plainly in short sleeves and white shoes. He sort of looks like a ghost, awash in red stage lights, singing and strumming a sad song. A toy-like synth melody, presumably being triggered somewhere just out of frame, zig-zags behind his wails. The studio-recorded version, stretched and slowed to fit in with the record’s sleepy atmosphere, doesn’t sound much like the love song they played in Brussels a couple decades ago. The naked chords are replaced by dreary keys, notes tumbling unevenly like raindrops. 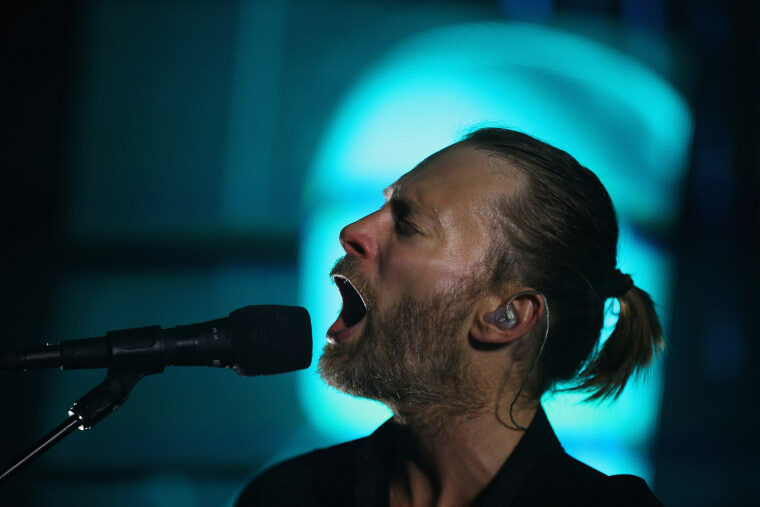 True love waits in haunted attics, Thom Yorke has always sung. But now it feels like we’re waiting up there with it—ominous textures creaking like floorboards, melodies flickering like dust caught in a sliver of yellow light. It's not the only song on A Moon Shaped Pool that has existed in various forms over the years, but it's surely the one with the most memories attatched to it. The track’s resurfacing isn’t a pure catharsis, though. There’s usually something innately disappointing about finally getting what you want. There’s always going to be fans that wish Radiohead had let “True Love Waits” lie, preserved its bare-boned anatomy like a fossilized relic of the English band’s romantic mid-’90s sound. Those fans will be vocal and defensive about which version they prefer, and maybe they'll have a point. But it would be a lot easier to commiserate if the new version wasn’t so arresting in its own right.